FALLBROOK UNION HIGH SCHOOL DISTRICT, Respondent. Administrative Law Judge (ALJ) Susan Ruff, Office of Administrative Hearings, State of California (OAH), heard this matter on October 25, 26, and 27, 2011, and December 7, 2011, in Fallbrook, California. Tania Whiteleather, Esq., represented Student at the hearing. Student’s mother (who is one of Student’s conservators and holds educational rights for Student) was present during most of the hearing. Student was present for part of the second day of the hearing and testified during the hearing. Ms. Whiteleather was assisted during part of the hearing by Lisa Malmsten. Sharon Watt, Esq., represented the Fallbrook Union High School District (District) at the hearing. Sallie Hunt, Special Education Director, also appeared on behalf of the District. 2. Whether the private parental placement at Fusion Learning Center (Fusion) was appropriate under the Act? 1. Student is a 22-year-old man who lives within the jurisdiction of the District. Student’s mother is one of Student’s co-conservators and holds educational rights for Student. During the times relevant to this case, Student was eligible for special education under the category of autism. 2. On September 4, 2007, Student filed a due process hearing request, naming the District as the respondent. On October 16–19, 2007, a hearing was held on that due process request, and on November 20, 2007, OAH issued a decision. The decision found, among other things, that the District had denied Student a free appropriate public education (FAPE) based on three of the allegations made by Student. The decision found that the District failed to provide Student’s parents with options for graduation and predetermined the proposed placement offered during the IEP team meeting. The decision also found that the District failed to provide an appropriate handwriting goal in Student’s IEP. Likewise, the District’s predetermination of placement at the June 2007 IEP meeting significantly impaired the parents’ opportunity to participate in the decision making process. The school presented two placement options, neither of which was intended to assist Student with possibly attaining a diploma. When the parents attempted to participate in the process, they were closed out without a discussion of other reasonable alternatives. Even though the District proposed two placements instead of the one placement proposed in the W.G. case, the District was still predetermining what the placement would be and then refusing to consider other options. 1 To maintain a clear record, Student’s written closing argument has been marked as Exhibit U. The District’s written closing argument has been marked as Exhibit 47. The more difficult question is what type and/or amount of compensatory education would make up for the educational opportunities which Student lost. The District’s transition program is not designed to give Student the opportunity to work toward a diploma. Based on Ms. Hunt’s testimony that allowing Student to return to high school as a “super senior” was not intended to allow Student to earn a diploma, it does not appear that another year at Fallbrook High School is the appropriate compensatory remedy. However, Student presented very little evidence on the subject of the appropriate compensatory remedy. The Fusion Learning Center is not a state certified NPS, and Student did not present specific evidence about other NPS programs. Under these circumstances, Student did not meet his burden of proving that an NPS placement should be ordered to provide compensatory education to Student. The appropriate remedy under these circumstances is to require the District to hold a new IEP meeting to allow the IEP team to discuss appropriate placement and services to permit Student to work toward a high school diploma. A new IEP meeting will also remedy the denial of FAPE based on predetermination of placement. Because the District predetermined the proposed placement at the June 2007 IEP meeting, the District failed to consider other possible options for Student’s education. The appropriate remedy is to order the District to hold another IEP meeting to consider a placement which will permit Student, with appropriate supports and services, to work toward a diploma. The IEP meeting should be held at a time when Student’s expert Dr. Norall and/or any other experts Student wishes to invite to the meeting may be present. The IEP team should specifically address the issue of placement, services and supports necessary to help Student work toward a diploma. Possible NPS placements should be considered by the IEP team. If the IEP team is unable to agree upon an appropriate placement, nothing in this Decision would stop either party from seeking further relief through a future due process proceeding. 2 The paragraph numbers from the prior decision have been omitted to avoid confusion. 6. On December 13, 2007, Student filed a complaint in the United States District Court, Southern District of California, in case number 07cv2328-LAB (CAB), seeking to challenge the OAH decision. The District filed a counterclaim in that case, also challenging the decision. 7. The IEP team meeting required by the OAH decision was held on February 7, 2008. Although that date was not within 30 days as called for in the decision, the parties stipulated during the hearing that there was no issue regarding the timeliness of when the IEP meeting was held after the OAH decision. 8. Sallie Hunt, the Special Education Director for the District, testified that prior to the February 2008 IEP team meeting she looked at the list of every NPS in San Diego County. She is familiar with the NPS’s in the county that serve high school students. Based on her experience with the various NPS placements in the county, she concluded that the only NPS that had the ability to implement the IEP services Student required to work toward a diploma was an NPS called Springall Academy (Springall). 9. Hunt then concentrated on coordinating a program at Fallbrook High School that would enable Student to work toward a diploma. She hand-picked teachers and classes that she thought would work well for Student and developed a class schedule for him. The District personnel believed that a mild-moderate special education classroom would be the best fit to enable Student to work toward a diploma. 10. At the February 2008 IEP meeting, the IEP team discussed Student’s present levels of performance, goals and objectives. When the time arrived for discussion of placement, the District offered a placement at Fallbrook High School in a mild-moderate special education classroom, with mainstreaming in science class with aide support. The District presented a proposed class schedule for Student for the spring semester of 2008. At some point during the meeting, it was mentioned that the District was developing a program at the high school to address the needs of high-functioning autistic pupils. That program was still in the planning stages, and no formal offer for that program was made by the District during the meeting. There was no discussion of NPS placements by the IEP team prior to the District’s offer of placement at Fallbrook High School. 11. After the District made its proposal for placement at Fallbrook High School, Student’s attorney asked about NPS placements considered by the District. Hunt stated that the District had considered Springall. Hunt did not mention any other NPS options, because she did not believe they would be appropriate for Student. 12. The parties disagree about what happened during the IEP meeting when Springall was mentioned. Hunt testified that when Springall was mentioned, Student’s mother shook her head. 13. Student’s mother, on the other hand, reported that Hunt told the IEP team that Springall had been considered, but would not be appropriate for Student. Student’s mother testified that she was not asked for her input about Springall and there was no discussion about the pros and cons of Springall by the IEP team. 14. Kenneth Krupa, a District special education teacher who attended part of the meeting, testified that an NPS was mentioned during the meeting and Hunt explained that it would not work. Krupa described the discussion about the NPS as being approximately one sentence long. 15. The District did not propose or discuss any other possible NPS placements besides Springall during the meeting. Student’s counsel requested that the District fund a placement at Fusion, but the District rejected that request because Fusion was not a state-certified NPS. Ms. Hunt stated that she personally selected/proposed the above classes based upon class size, teacher strength, and the needs of [Student], and absence of peers that [Student] previously has had a conflict with. Atty asked team what non-public schools had been considered for placement. Ms. Hunt replied that she had considered Springall but that was seen as being too restrictive a placement for [Student]. Atty stated that a request is being made to place [Student] at Fusion Learning Center. This would be accomplished by having the District reimburse the family for their costs. Fusion is not a CA licensed Non Public School. Atty presented a letter from Fusion for the team’s consideration. Letter was reviewed by Ms Hunt and Ms Harris. Ms Hunt stated that FUHSD declines the placement request at Fusion Learning Center as it is not determined to be FAPE, and FUHSD continues to offer the Special Education and Related Services outlined in the IEP. The IEP is being revised by paper/pencil and a final hard copy will be provided by US mail to parents after a computerized version is finalized. 17. During her testimony, Hunt denied that she or anyone else at the District predetermined Student’s placement prior to the IEP team meeting. The District staff did not write the name of the school of attendance into the IEP document until the discussion of placement during the meeting. Hunt testified that if Springall had been determined to be an appropriate placement, she would have reconvened the IEP meeting at Springall. In Hunt’s opinion, Student’s parents and Student’s counsel had predetermined that they wanted a placement at Fusion. However, she admitted under cross examination that Student’s mother never said during the meeting that she would accept only Fusion as a placement for Student. 18. Sandy Magaro, a District psychologist who had provided counseling to Student in the past, testified that, in her opinion, Fallbrook High School could meet Student’s needs, so Springall would have been a secondary choice of placement. She also opined that Student needed counseling to gain benefit from his special education. 19. The written IEP offer made by the District included: a) placement in a mild-moderate special education classroom for all classes except physical science; b) 30 minutes of occupational therapy per week; c) 40 minutes per week of individual counseling; d) 50 minutes per week of counseling and guidance; e) assistive technology support in the amount of 120 minutes per year; and f) two hours per day of aide assistance in the classroom. According to the meeting notes, the aide would assist Student in his general education physical science classroom. 21. Fusion is a private school that operates on a one-to-one teaching philosophy. It is accredited by the Western Association of School and Colleges, but it is not certified by the State of California as an NPS. It provides education for sixth through 12th grade pupils who do not fit into traditional school programs for various reasons. Fusion’s classes are based on California curriculum standards, and the school offers pupils the opportunity to work toward a high school diploma. Michelle Gilman, the founder of Fusion, has a background in special education, but not all the teachers who instructed Student at Fusion were special education teachers, nor did they all hold California teaching credentials. Fusion has several campuses in California and is in the process of opening a campus in New York. As a general policy, Fusion does not attempt to implement a pupil’s public school IEP, but instead drafts a formal education plan for the pupil. 3 In its written closing argument, the District contended that there was insufficient documentation to support the testimony of Student’s mother as to the $9,000 tuition that Student’s parents paid to Fusion. Student’s mother testified at hearing that there was additional documentation to support the costs, but she had not been able to find that documentation prior to the hearing. Student’s mother was a highly credible witness and her testimony was sufficient to meet Student’s burden of proof on this issue. 22. Student took academic classes while at Fusion, including world history, English, science and algebra. According to Gilman, one of Student’s teachers at Fusion had a special education credential, but some or all of the others did not. After Student started at Fusion, Student’s teachers reported that he was at a very low level academically. Student was able to complete a science class that gave him high school credit, but withdrew from his other classes before he completed them because his parents could no longer afford to pay for Fusion. Student did not attend a formal social skills training group while at Fusion, although the staff did facilitate his interactions with other pupils there. Student did not receive any regular counseling sessions, assistive technology or occupational therapy services while at Fusion. 23. Student gained educational benefit during the time he attended Fusion. Student also enjoyed the time he spent at Fusion. During his testimony, Student was critical of the program at Fallbrook High School. However, when he testified about Fusion, his demeanor brightened and he spoke of the benefits gained while attending Fusion. He had a few misunderstandings with his peers at Fusion, but those were resolved by the Fusion staff. 24. On January 27, 2011, the United States District Court issued its decision in case number 07cv 2328-LAB (CAB). The court upheld the OAH decision and remanded the matter to OAH to consider whether the February 2008 IEP placement was appropriate and, if not, whether the private school placement at Fusion was appropriate. 1. Student, as the party who filed the due process hearing request, has the burden of proof in this proceeding. (Schaffer v. Weast (2005) 546 U.S. 49 [126 S.Ct. 528, 163 L.Ed.2d 387].) Prior to this hearing, Student made a motion to shift the burden of proof to the District. OAH denied that motion on October 19, 2011. 8. As set forth in Factual Findings 1–19 above, the IEP team meeting held in February 2008 differed from a typical IEP meeting because it was held pursuant to an OAH decision and order. The OAH decision ordered the District to facilitate the meeting and directed that certain issues be considered during the meeting. 10. The District did not follow the OAH decision. 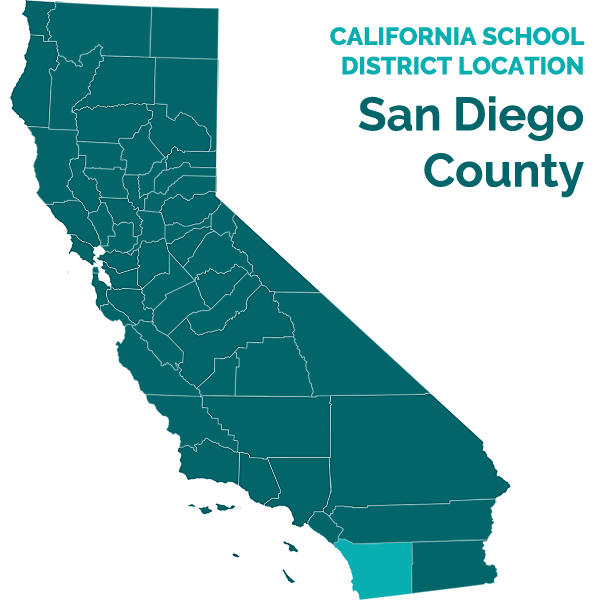 The District staff during the IEP team meeting did not conduct a discussion with Student’s parents to consider the various NPS placements available in San Diego County and whether one or more of those placements might meet Student’s needs. When pressed by Student’s counsel regarding the issue, the District mentioned only one NPS and then immediately dismissed it as an option. That was far from the discussion contemplated by the OAH order. Indeed, it appears that if Student’s counsel had not specifically asked the District staff about NPS placements the District had considered, there would have been no discussion or consideration of NPS placements during the IEP meeting at all. The IEP team discussed Fusion (because Student’s counsel raised the subject), but Fusion was not an NPS. 4 The District’s closing argument asserts that “…Mother, Student, and District IEP team members all agreed, after consideration, that there was no appropriate nonpublic school…with a curriculum leading to a high school diploma for Student.” The evidence did not support that assertion – there was no evidence during the hearing of any such consideration or agreement during the IEP team meeting, and the IEP team meeting notes do not reflect such a discussion or agreement. 12. Hunt may have been correct that Student’s parents would not have accepted any NPS placement that was offered because they wanted Student placed at Fusion, a noncertified private school. However, the District will never know that, because the District never held a full discussion and consideration of the possible NPS placements during the IEP team meeting. 13. The District’s predetermination of the placement in contravention of the OAH order constituted a procedural violation. That violation significantly impeded the opportunity of Student and Student’s parents to participate in the decision making process regarding the provision of a FAPE to Student and therefore resulted in a substantive denial of FAPE. Student met his burden of showing that the District’s February 7, 2008 IEP placement offer denied him a FAPE. 14. Because the procedural error resulted in a denial of FAPE, it is not necessary to look at the substantive aspects of the District’s offer. (See Shapiro v. Paradise Valley Unified School District No. 69 (9th Cir. 2003) 317 F.3d 1072, 1079 (Shapiro).) Therefore, it is necessary to move on to the second question posed by the federal court – whether the private parental placement at Fusion was appropriate. 17. As set forth in Factual Findings 20–24 above, the evidence supports a finding that Fusion was an appropriate placement for Student. Student’s classes were individually designed to meet his academic level, and he gained educational benefit. He completed one class for high school credit and only left because his parents could not afford to continue with the costs of education at Fusion. The school provided educational instruction designed to meet his unique needs and enabled him to benefit from that instruction. 18. The District argues that Fusion was not an appropriate placement for Student because he was not receiving counseling, social skills training, assistive technology, occupational therapy, or instruction from special education teachers. However, it appears that the one-to-one teaching offered by Fusion provided him with an education at his pace and enabled him to gain some educational benefit. Had Student attended Fallbrook High School, with all the special education supports proposed by the District, he might have gained greater educational benefit. However, maximizing a pupil’s education has never been the standard for “appropriateness” under IDEA. While Fusion might not have met the rigorous standards imposed by law on school districts, it was sufficient to meet the more relaxed standard of “appropriateness” for a private parental placement. Student met his burden of showing that Fusion was an appropriate private placement under IDEA. As set forth in Factual Finding 20, Student’s parents paid $9,000 to Fusion for his education. 5 The District attached a copy of the Science Content Standards for California Public Schools to its written closing argument. The District presents no explanation for why this document was not entered into evidence at the hearing. On December 16, 2011, Student filed an objection to this document on the basis that it was not timely served on Student or entered into evidence at the hearing. The District filed an opposition, arguing that it could be officially noticed. Student’s objection to the document is sustained. However, even if the document had been properly entered into evidence, it would not change the result in this case – it does not prove that Student failed to pass the Fusion science class or master the necessary concepts taught in that class. The District’s document appears to be a listing of what a pupil should master after completing all required science classes from grades nine through 12. It does not show what Student was expected to master in a single science class. The District shall reimburse Student’s parents for their costs in providing Student with an education at Fusion in the amount of $9,000 within 60 days of the date of this Decision. Pursuant to California Education Code section 56507, subdivision (d), the hearing decision must indicate the extent to which each party has prevailed on each issue heard and decided. In accordance with that section the following finding is made: Student prevailed on all issues heard and decided in this remanded matter. The parties to this case have the right to appeal this Decision to a court of competent jurisdiction. If an appeal is made, it must be made within 90 days of receipt of this Decision in accordance with California Education Code section 56505, subdivision (k).